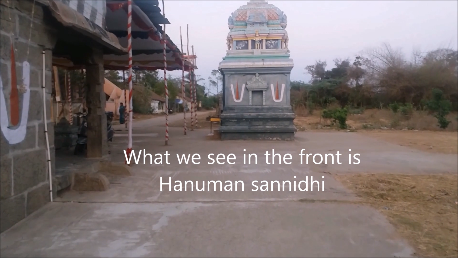 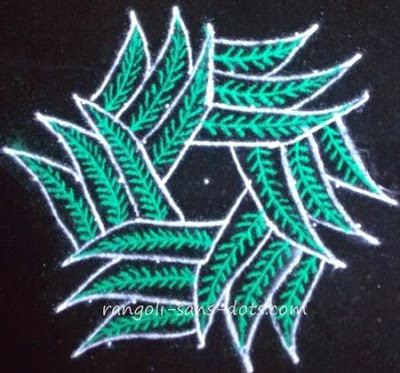 Mango leaves are considered auspicious in South India. 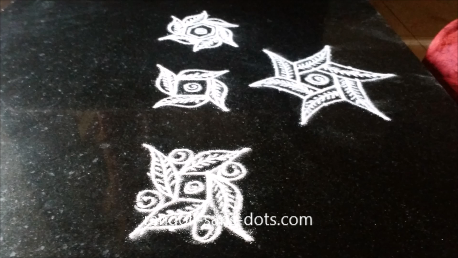 We invariably find toran made of mango leaves hung on the doorways of houses during festivals like Diwali, Sankranti, Varalakshmi Pooja and Navratri and also during functions like house warming , Aksharabhyasam, baby showers etc. 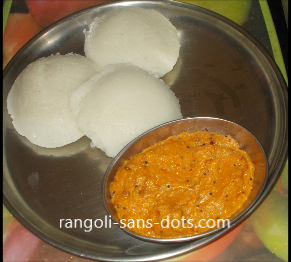 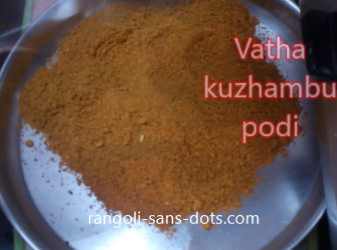 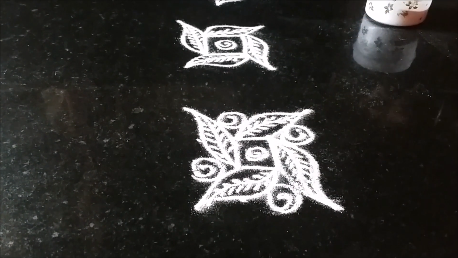 So kolam with mango leaves called maavilai kolangal are also important to emphasise happy occasions in our homes. 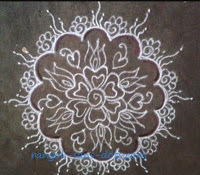 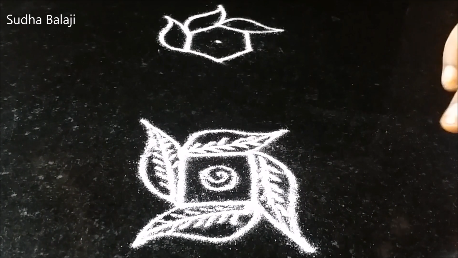 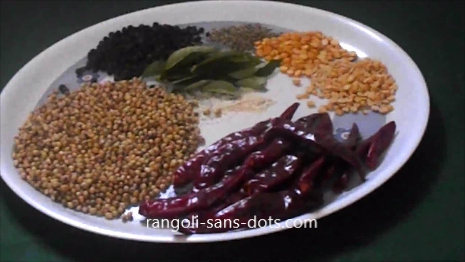 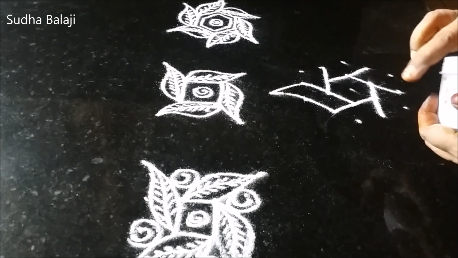 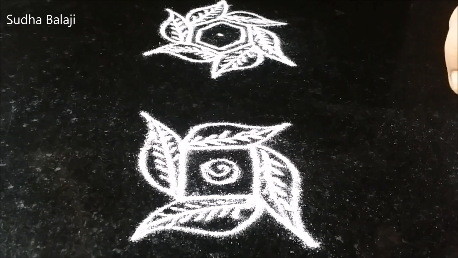 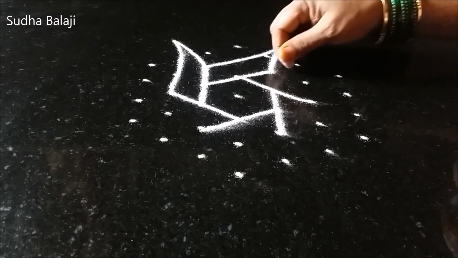 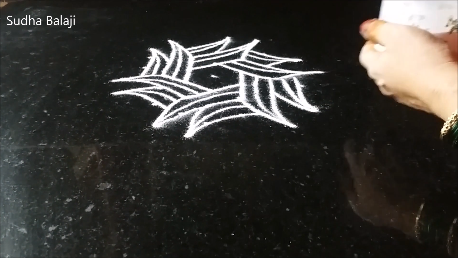 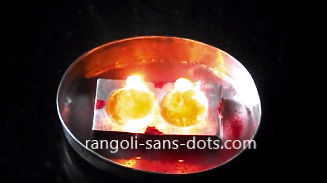 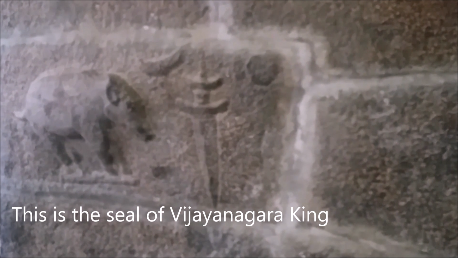 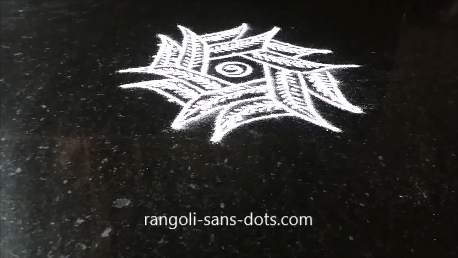 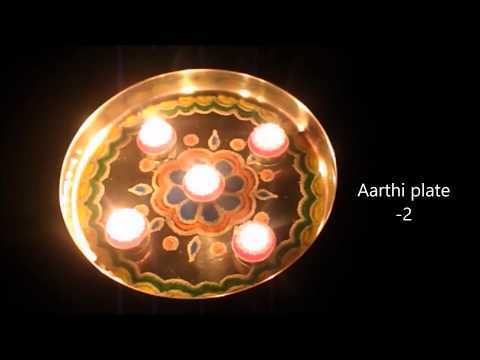 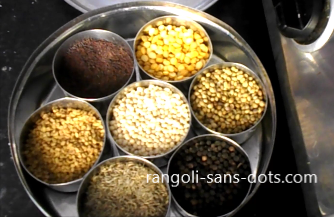 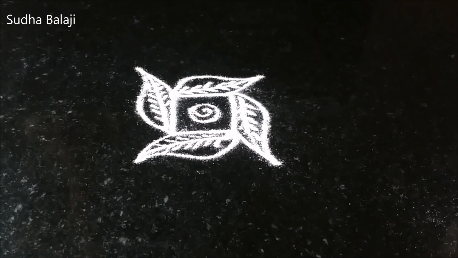 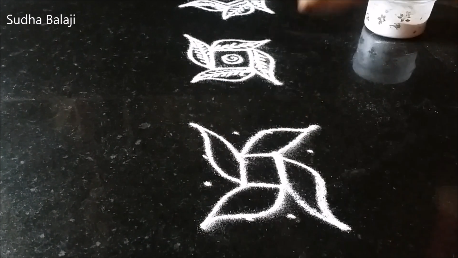 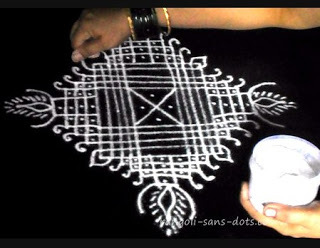 Above what we see is a collection of rangolis using these patterns. 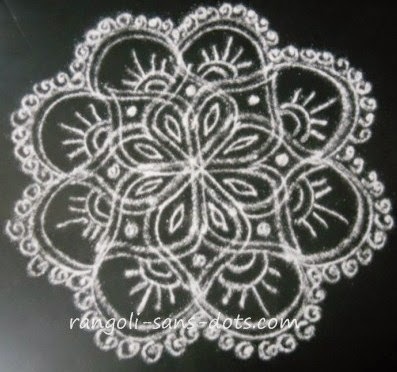 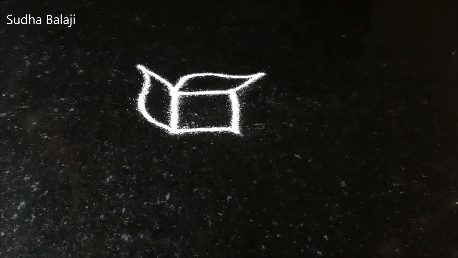 When drawn in white we can decorate with geru to denote a function or festival.